UFC Fight Night 42 was a success but not a sellout. Missing from the show was the presence of a standout local who really generates ticket sale support from the true local community. Adrian Cruz could be a name that can account for a fee extra hundred tickets in a venue that only needed about a thousand more people to earn the sellout. New Mexico has always been rich in the culture of combat sports and consistently has produced some of the premier talent in all of the world. In boxing, notables Johnny Tapia and Holly Holm exemplify the elite talent that hail from this area and in mixed martial arts, Carlos Condit and Diego Sanchez remain two of the most recognizable figures in the world. It seems like every few months, another breakout star emerges from New Mexico which this year has been John Dodson and his Championship run and Michelle Waterson with her Championship glory. This Friday night at Bellator 105 inside the Santa Ana Star Center, one fighter from New Mexico will take another big step towards becoming a star in his own-right. Judgement MMA’s Adrian Cruz (5-0) is undefeated and immensely talented; he has the stand up talents to compliment his wrestling and grappling skills. 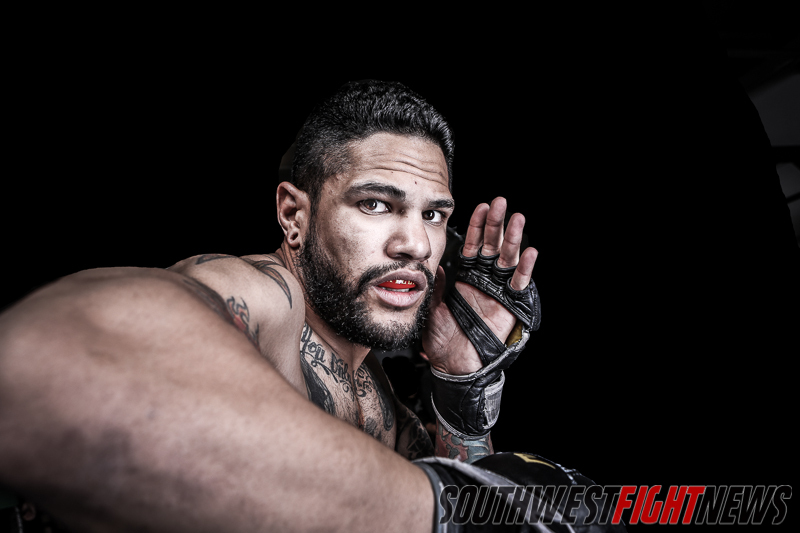 The well-rounded talents of Cruz makes up for one of several reasons why he has emerged as one of the most successful and popular regional fighters in New Mexico. On Friday night he will have been a part of each of the three Bellator shows here in-state and should he pick up the win, his ceiling for 2014 goes to a whole new height. Rio Rancho’s Adrian Cruz is looking to make his mark by putting a stamp on 2013 with a 3-0 record. When Cruz entered into the Bellator cage back in February and July, he was competing in local “super-fights” in a sense when he took on fellow locals from rival gyms. At Bellator 91, Cruz was matched with Jackson-Winklejohn product Nick Gonzales. Cruz diligently overwhelmed Gonzales and ended the fight with a beautiful trip from the clinch and smoothly transitioned into an arm-crank variation that was set up from the scarf-hold position traditionally only seen in Gi-competition. Then in July at Bellator 97, Cruz would face off with Mean 1 MMA’s Felipe Chavez that was heavily anticipated to be the fight of the undercard. Cruz would once again dominate and overwhelm his opponent but this time he’d do it with a powerful top game and suffocating ground and pound. With one submission and one technical knockout to his name under the Bellator MMA banner, Cruz was poised to take a step up in competition. It was a natural progress for Cruz as he handily defeated his two fellow local opponents. 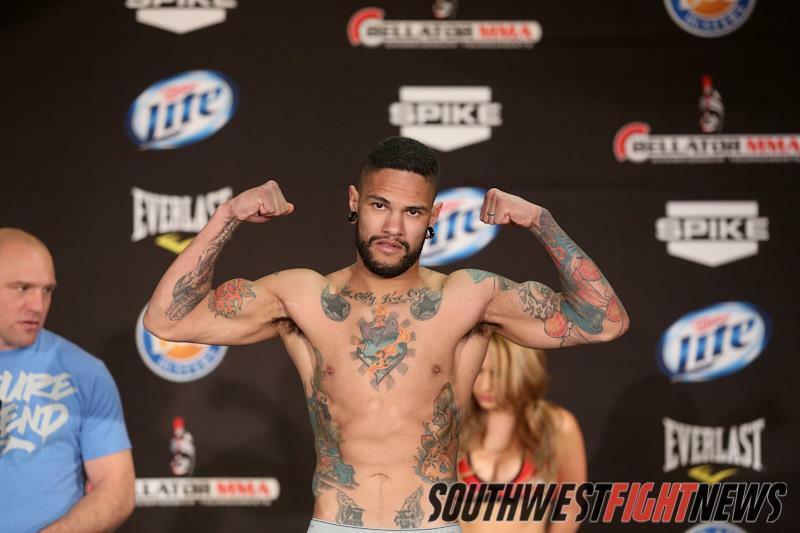 Being the only local fighter to be on each of the three Bellator MMA shows in-state, the promotion agreed with the progression when they lined Cruz up with the toughest opponent of his career. Idaho’s Jesse Brock (15-7) has more than four times the fight experience of Cruz and has engaged some of MMA’s premier talent during his seven year career. In fact, he was the last opponent to fight UFC Flyweight Champion Demetrious Johnson before he started his WEC tenure. Brock has also been in fights with Donald Cerrone and Travis Marx and most notably, Brock’s biggest career moment undoubtedly is picking up a unanimous decision victory over free agent standout Tyson Nam. Fight fans should recall Nam as the fighter who knocked out Bellator Champion Eduardo Dantas with one punch in a fight outside of the organization. Brock’s experience and ability to grind throughout three rounds makes him the most dangerous opponent Cruz has faced thus far in his career. Opponents Gonzales and Chavez were slightly more one dimensional in that if they didn’t get advantageous position, Cruz would be in his own comfort zone. Brock has won fights on the feet and on the ground, he has taken opponents to the scorecards as well as finishing them with strikes or submissions. He presents danger to an opponent regardless of the scenarios on-going within the fight. The fight with Jesse Brock will mark the third Bellator bout for Cruz. Will a win amount to bigger opportunities in 2014? Based out of Rio Rancho, the hometown Cruz will bring high level training with him when he faces off with Brock in the form of three very effective coaches. Head Coach Scott Marlowe is an avid striking guru and it shows when Cruz’s power and technical combination striking is showcased. Robin Marlowe is quickly garnishing a reputation as being a very respectable strength and conditioning coach. Her talents have shown brightly in the success that the Judgement MMA fighters have experienced over the course of 2013. Cruz also has Coach Rich Chavez in his camp, many may know Chavez for his masterful leg-locks and being on the Olympic qualifying team for the still developing U.S. Jiu Jitsu team. The match up may come down to pace and which fighter is able to overcome the other’s grueling style of fighting. Cruz is a very talented wrestler and Brock has shown his ability to get top position as well; making this fight a possible instance where the game plans from each fighter mirror one another. Cruz hasn’t spent very much time off of his back and that may be an area that Brock would like to exploit. On the flip side, it has been shown that Brock doesn’t fare well from his back and if Cruz puts his patented pressure on the top game this fight may end up advantageous for Cruz. Either way, a grueling decision may be the conclusion fight fans see on Friday night. With a win, fight fans should not be surprised if Cruz gets the call to be part of 2014’s Bellator Bantamweight Tournament where a winner will most likely be paired with Champion and fringe Top-10 fighter Eduardo Dantas. The potential ceiling for Cruz is already high and the likelihood he is called to the big leagues is inevitable if he keeps finding the impressive success he has seen in 2013. Stay tuned to SWFight.com for more event coverage and updates. We will be doing event play-by-play tomorrow night so make sure to tune into the website as well as social media pages. Follow me on Twitter @KingStark24 and the SWF handle @SWFight. Join us in sending our support to Adrian Cruz and his Judgement MMA team in a very significant bout inside the Santa Ana Star Center on Friday night.